Internal emails reveal the scale of Project Maven. Update: In response to backlash from Google employees, the company has decided to end its relationship with the Department of Defense after its current contract expires in 2019, as Gizmodo reports. The announcement appears to have been made this morning, just one day after The Intercept published information indicating Google was more deeply involved with the DoD than previously stated. Next week, the company plans to release an updated code of ethics, as Gizmodo notes. It looks like the seemingly-never-ending fiasco over Google’s involvement with the Pentagon’s Project Maven isn’t going away any time soon. 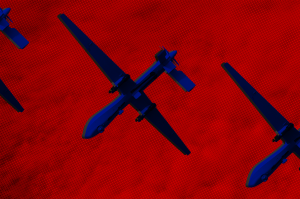 Internal emails from last September acquired by The Intercept show that higher-ups among Google’s AI researchers had plans to continue ramping up military involvement, and also that they knew there would be a media field day once word got out (hi). The research project in question is Project Maven, which involves Google developing and supporting AI algorithms that the Department of Defense (DoD) uses to analyze footage from military drones. Over the past weeks, many Google employees have resigned and thousands have signed a petition in protest from the company’s partnership to develop military technology. Many also fear and suspect the partnership will pivot toward developing weaponry and other offensive tech, as first reported by Gizmodo. Some of these protestors include employees from other countries who are uncomfortable creating tools for the American military, according to The New York Times’ article about the newly-revealed emails. For a tech company that heralded itself as one that values the views and perspectives of its employees, Google has worked to reduce protests without pivoting away from military partnerships. Critics of these protests point out that the DoD used Google tech in the past, and it certainly won’t stop developing AI, even if Google ends their contract. But Project Maven is different, as the tech company actively bid on the military contract and is also actively providing support for the new technology it’s building for the Pentagon. In the coming weeks, Google will be unveiling new guiding principles for the company and how it sees itself fitting in with society, according to a recent company meeting mentioned in that New York Times article. Those guidelines may give disappointed employees and a curious public more clues as to how Google plans to navigate AI research, and the sort of contracts it may pursue. But for employees who saw themselves working for a more moral tech giant (which recently abandoned its unofficial “don’t be evil” motto), there probably won’t be much good news. As the internal emails show, the top Google AI researchers expect to continue making deals with the military. Given Google cofounder Sergey Brin’s desire to see militaries work with international companies instead of smaller contractors, we may someday live in a world where Google coordinates warfare just as well as Google Maps does traffic.